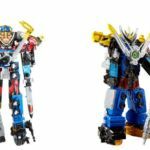 Power Rangers Beast Morphers Wave 1 Toys RELEASED In Canada! The first wave of Hasbro Power Rangers toys has apparently hit shelves! 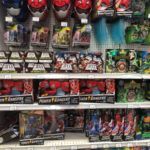 Fan Aaron James has reported spotting the first wave of Power Rangers Beast Morphers toys at a Toys R Us in Ontario, Canada. This sighting includes the first case of Beast Morphers action figures along with several roleplay weapons. Previous reports indicated that Beast Morphers would not be seen in stores until APRIL 2019. Could the street date have moved up a bit? Or is this an isolated incident? Stay tuned to TokuNation to find out! 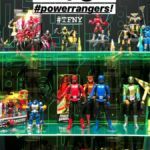 ToyFair 2019- Power Rangers Beast Morphers Toys On Display! 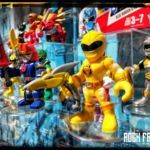 With ToyFair 2019 opening tomorrow, Hasbro is busily setting up displays for their new Power Rangers series! *All 5 Beast Morpher Rangers. *The Beast Bot supporting characters. This is just a taste of what ToyFair has to offer fans. Be sure to join in our Ongoing ToyFair 2019 Discussion Thread to share your thoughts and fears about these exciting new Power Rangers reveals!